Lithium batteries are used in many devices, including electronics, car keys, remote control toys, smoke alarms, and even electric cars. Despite being common in items that people often keep close to them, they are considered hazardous materials. Lithium batteries produce significant electrical energy, so if they are defective or misused, the chemicals within can overheat and combust. As such, shipping these batteries can be extremely dangerous if done improperly. This is why the US Department of Transportation’s Pipeline and Hazardous Materials Safety Administration (PHMSA), along with the regulatory organizations that govern international transportation, have established strict regulations regarding the transportation of lithium batteries. There are some differences between the transport requirements for lithium-ion batteries and those for lithium metal batteries (also known as “primary lithium batteries”), and the regulations for air, ground, and sea transport, while sharing some similarities, are all distinct from each other. What they all share is that they must all be followed to the letter. When prepared for transport, lithium batteries must always be protected against short circuit and must be packed in a way that keeps them from touching each other or anything that may conduct electricity. Depending on whether they are shipped standalone, or packed with or contained in equipment that uses such batteries as a power source, they must be packaged in a manner that provides adequate protection to them during transport. The regulations may require the use of performance-tested UN Specification packagings; however, in some instances, the use of what are termed “strong outer packagings” is permitted. Quantities shipped per package and per consignment must comply with the applicable model restrictions. The requirements for air transportation are uniquely conservative. All standalone lithium batteries are forbidden for transport on passenger aircraft but may be transported on cargo-only aircraft subject to any additional requirements of the airline transporting them. Lithium-ion batteries are additionally subject to limitations on their state of charge when offered. Damaged or defective lithium batteries are strictly forbidden for air transport, due to the potential danger they pose to the aircraft and its occupants. Each design type for any kind of lithium battery must be tested and proven to meet the requirements of each test of the United Nations Manual of Tests and Criteria, Part III, Section 38.3. Anyone involved in the packaging and shipping of lithium batteries must have confirmation from the battery manufacturer that the batteries have passed the required tests. Different requirements also apply to different sizes of lithium batteries, based on their energy capacities. 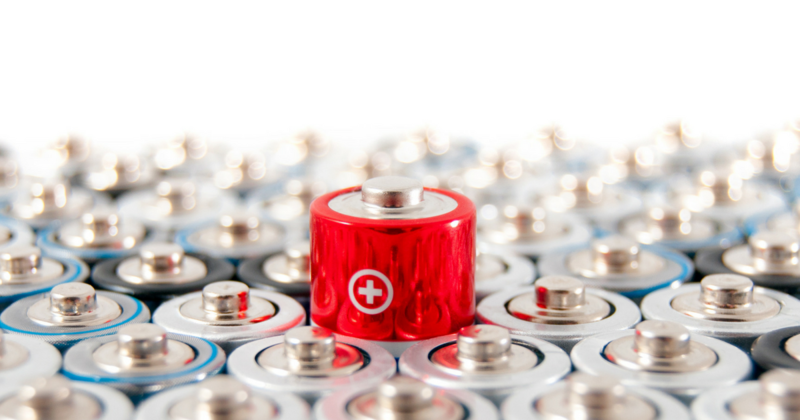 While all lithium batteries are considered to be Class 9 hazardous materials, all of the modal regulations contain exceptions for what are considered “small” lithium batteries. Packages containing small lithium batteries must still bear a distinctive “Lithium Batteries Mark” which serves to communicate the presence of the batteries and contact information for them. Packages containing lithium batteries that exceed the limitations established for small batteries must be labeled as Class 9 material and must be declared on a hazardous materials shipping paper. This is just a brief summary of the regulations and procedures in place for handling these hazardous materials. Sign up for Hazmat University’s Lithium Batteries Training Course – a supplement for Dangerous Goods Training for Air, Ground or Vessel – to receive instruction in all of the most up-to-date methods and rules on how to safely pack and ship lithium batteries.